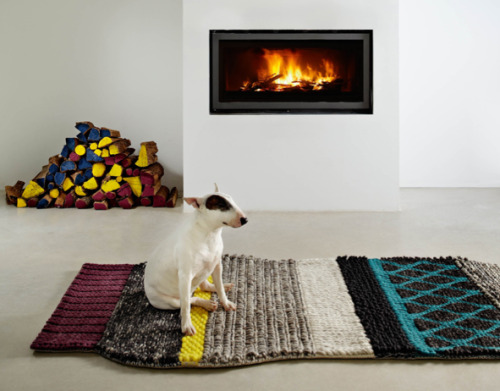 What do you think of these fantastic 100% virgin wool pieces from Gan-Rugs “ Mangas Mini” collection? They look super-comfy, we want one! Snap up a bargain and get this hand-knitted cushion by Stitch & Story for only £17 NOW ON SALE (RRP £38). Click hereto purchase via our Etsy page! 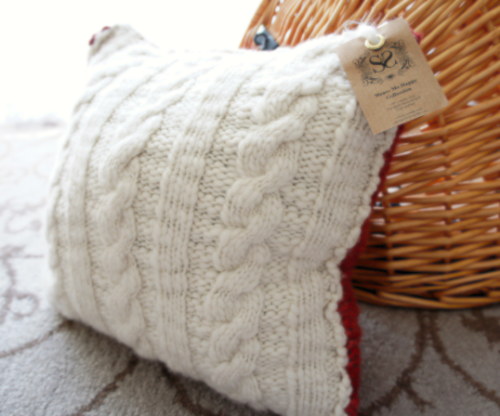 This gorgeous 100% merino wool pillow is perfect for the home. It’s simple design makes it elegant and will match any furniture be it the sofa, bed or chair. 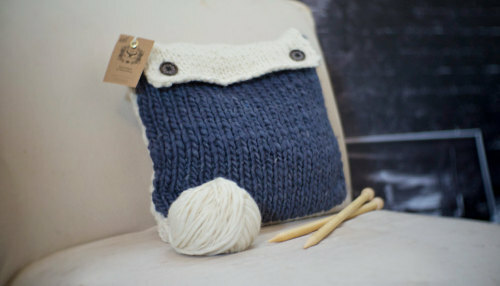 It is knitted with 100% merino wool using 12mm needles, making it super chunky as well as super soft! Secured with two buttons, the cover can be easily detached and hand washed. Measures approx. 34cm by 34 cm. The pillow insert is included. 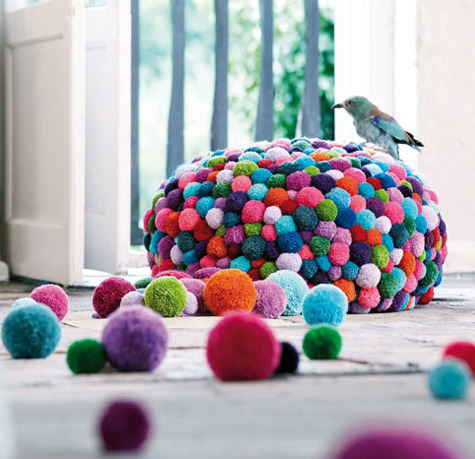 These awesome pouf chairs by MYK are crafted entirely by hand using thousands of woollen pom poms! Approximately 45kg of wool was used. Amazing.